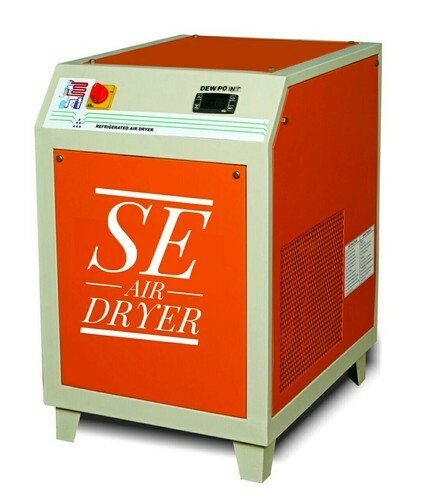 Being a foremost organization in this industry, we are actively engaged in offering the finest quality range of Air Dryer. We “Sadguru Enterprise”, started as a Sole Proprietorship firm in the year 2013 at Rajkot (Gujarat, India), have gained recognition in the field of manufacturing the highly reliable range of Air Compressor, Compressor Connecting Rods, Air Dryer, Three Phase Electric Motor, Spray Pump, Piston Ring etc. The provided products are widely acknowledged for their sturdy construction, superior functionality and low maintenance. Under the leadership of “Mr. Chetan Joshi” (Proprietor), we have carved a niche in this vastly competitive market.